Rotary damper is a device that deadens, restrains, or depresses. Our rotary oil hydraulic damper is a mechanical device designed to dissipate kinetic energy. It let toilet reduce the noise and more satey for operator. This kind of rotary damper is uni-directional damper. 2. Daming oil is silicone oil which damping function is stable when the machine temperture reach from above 80 degree.to below 20degree. And we buy the silicone oil from Japan. 3. Our damper life time can be used 50,000 time. 4. The damper had approved the ISO9001:2008and RoHS certification. 5. 100% products tested before delivery it. 6. Free sample can be send to you for test at first. Rotary hydraulic damper create smooth movement andamping in application,effectively reduce noise and highly upgrade product level. This note is provided so as to avoid any injury to operators or damage to machines. For you safety, this note must be read before using our products. Prohibit operate the machine when the damper is not properly fixed. When the damper is installed in machine, ensure it as tighten fit as possible. Otherwise possibly the machine will be damaged or operator will gets injured. Please confirm the damper is fixed within loaded torque safety factor. Prohibit use damper as a stopper. Please use the machine within the damper action angle range. Do not use damper as a stopper. If not, the machine may be damaged or body is injured. Please use the installer stop in the damper action angle range. If a installer larger than permitted weight is applied to the shaft/gear, the damper and machine damage or the operator injury possibly. If the specified torque is exceeded, the oil leakage, axis/gear damage, damper life time reduce and even if may result mechanical breakdown and possible personal injury. Please use the damper within the specified torque range. If use the damper outside the allowed temperature range, maybe the oil leakage and torque range change. So please use the damper within the specified temperature range. Please not use in the vacuum and high pressure environment. The obsolete damper oil can pollute the environment if throw it casually, please according to the prescribed method to right deal the obsolete damper and the oil. Our company is a professional engaged in damper, damping buffer, locks and others research, development, production and sales of professional manufacturers for 17 years. Now our factory covered an area of 3800 m2, employee 180 people, and built number of highly qualified management and technical team. The company strength is abundant the introduction of Japanese production equipment and advanced technology. We have the perfectly testing system, professional research and design of the mold development, injection molding assembly team. We can accord to customers’ requirement to design and produce the Damper. Our damper can be worked at -10 ℃ to + 80 ℃ temperature and other specifications not have any change. The damper can be applied in the car, speaker, kitchen and toilet, household electrical appliance, automation and medical equipment, computer and other Electronic equipment so on. Welcome to contact us for more information. Hope we can be your partner. Our Rotary Dampers In Soft Close Toilet Seats Hinges are packaged by plastics bag firstly , and then by carton to be sent to buyers , we are mainy delivered by express delivery and air transport. After the order, if there are any quality problems about our products , our company provide you exchange service, any the freight will belong to our business. 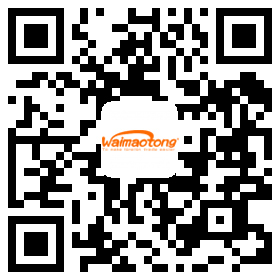 Company Name:DONGGUAN PEIR ELECTRONICS CO., LTD.